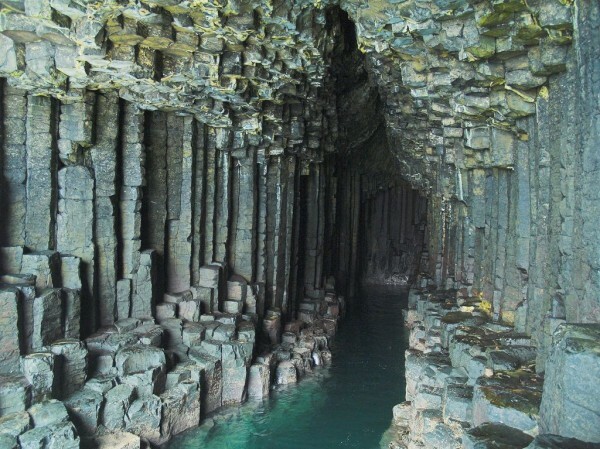 Isle of Staffa – an inner island of the Hebrides, which stretches along the coast of Scotland. 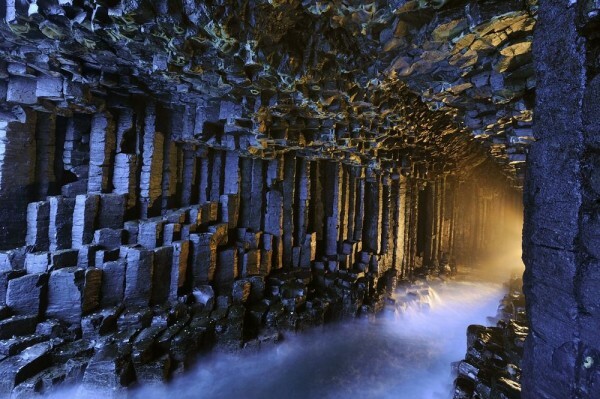 Fingal Cave, located in the south and which is part of his reserve, was named in honor of the hero and Irish Gaelic epic giant Fingal. 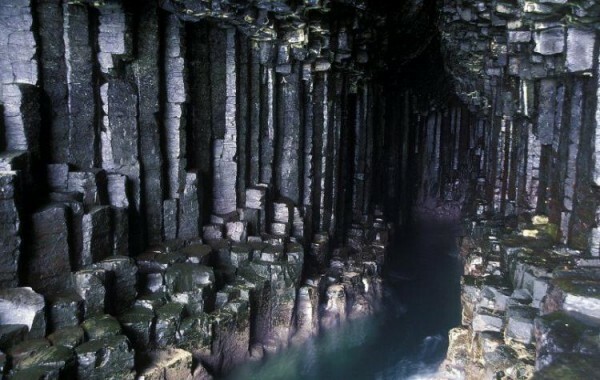 Cave, 75metrov long, 20 meters in height and width – 14metrov, formed basalt columns (usually hexagonal ), lined up side by side. Sounds incident waves are given to the entire 75-meter length of the cave, and she literally “sings”, creating amazing sounds, because the acoustics in the cave is a fantastic and unique. 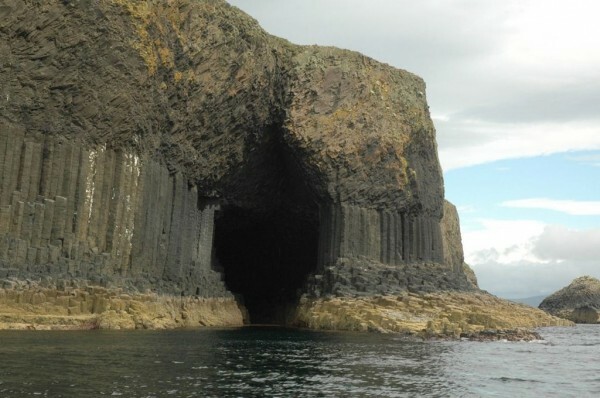 Therefore, initially, this cave was named Uamh-Binn “Singing cave” To get to the cave is possible only along a narrow path, formed by basalt rubble hexagonal columns, and from the sea can be seen only a very narrow entrance.